Finally…typing again (although very slowly)… – Ce Soir Arts – Be inspired tonight! This is certainly true for me in this instance. Wow. I was really a FAST typist! I knew this from my work as a writer and editor – and my work as a venue owner. I could type out a whole sentence in a flash and thank someone for their donation at The Castle or The Magic Tree and then, just a split-second later, welcome someone to the concert or reading. Easy! 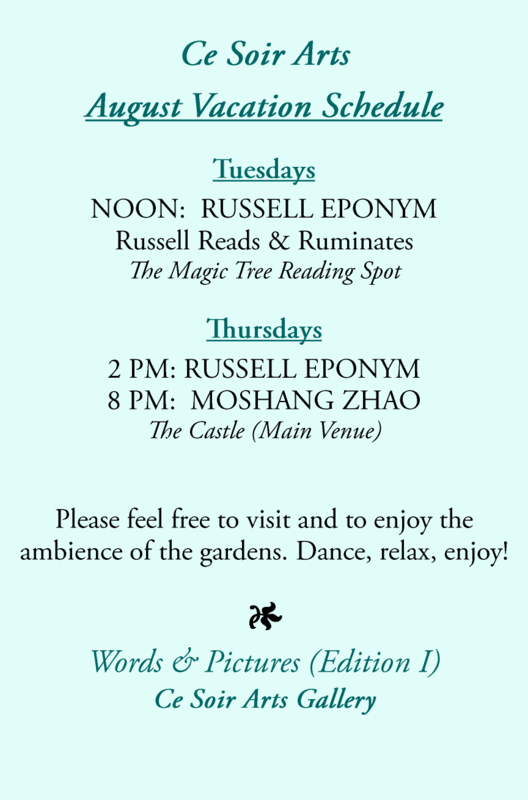 Anyway, thank you for continuing to come along at Ce Soir to enjoy the wonderful poetry and music provided by Poet Laureate and Artist-in-Residence at Ce Soir Arts RUSSELL EPONYM and the fantastic Chillmaster, MOSHANG ZHAO. You’ve seen The Vacation Schedule, but I’ll post it again, for convenience. We are planning a couple of surprises and a new theme-based programme for the Fall, so watch the blog for updates. Some of my lighter Words & Pictures are up in The Gallery at the moment; if you stop by, I hope you will enjoy. I’m already plotting to reveal the darker side later in the autumn. Here’s one I really like – SLAKE. 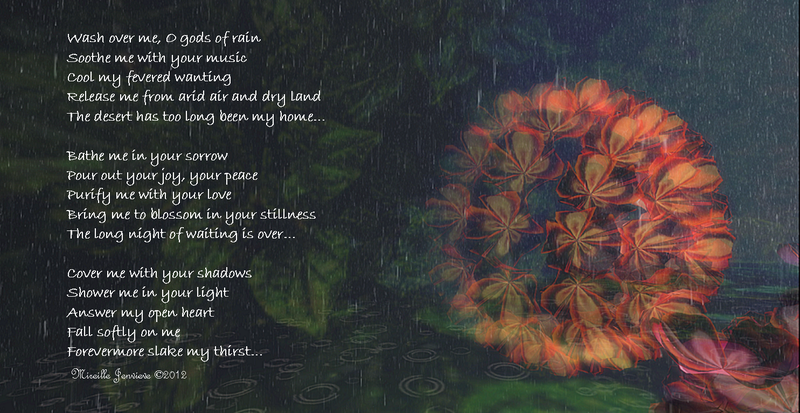 Both the photo and poem were ispired by the beautiful Hydrangea installation at the Leroy sim by Quark Fallen. Have a wonderful week! Merci bien ! Previous Are you following The Drax Files? You should be…!